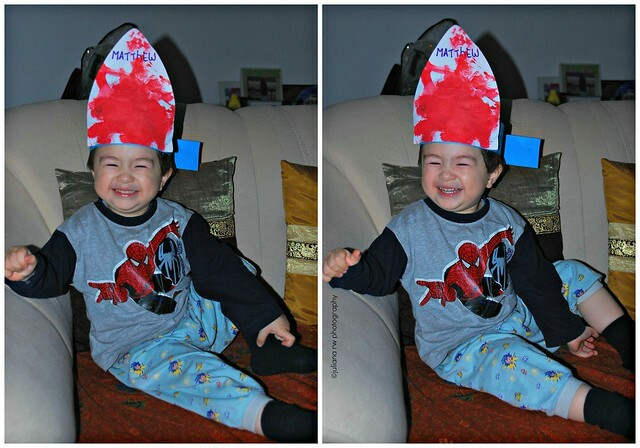 Today, we celebrate Sinterklass (Saint Nicholas in english). I am not sure if your country celebrate this day too or not but in the Netherlands it is traditional day that we always celebrate every year since long time. 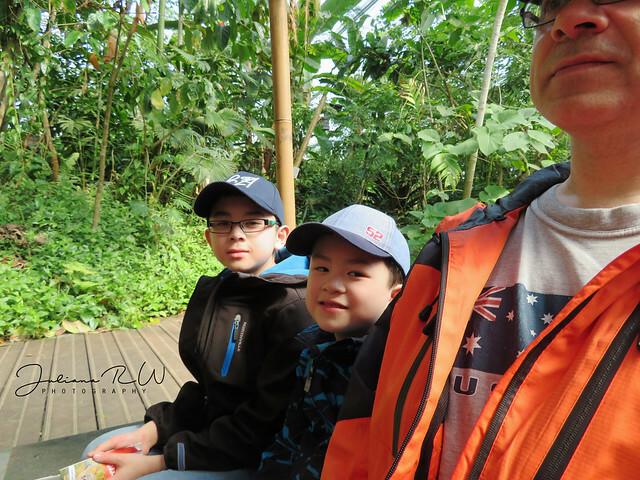 For Matthew, it is new experience. Today, Sinterklass visited all classes at the boys school one by one. 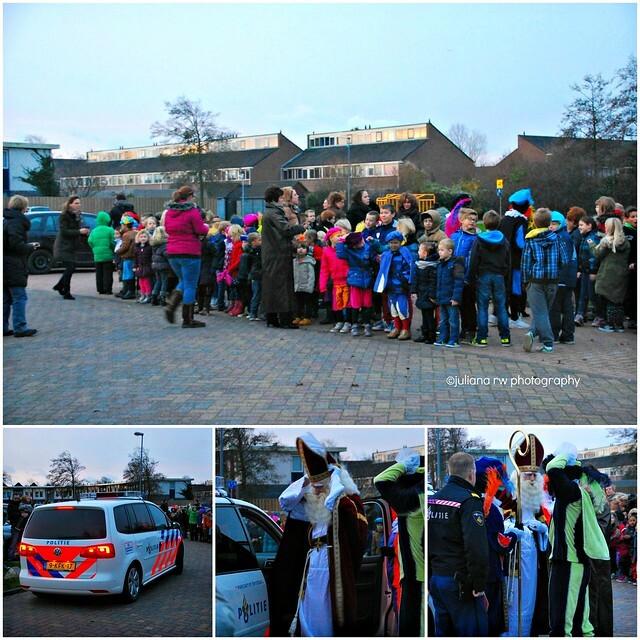 These photos were taken from outside their school when Sinterklass came with police's car. I stayed in too long at school, because afraid that Matthew could saw me via the inside windows. I heard from other mom that helped in Matthew's classroom, he was crying lots. It is sad to hear that he still crying sometimes at school. The good news was that he didn't cry when they took a photo with Sinterklass ^___* I can't wait to see the photo. The boys were happy with the gifts that they got from the Sinterklass. These photo were taken few minutes before Matthew took a bed. Too cute not too share with you. We don't have Sinterklass tradition here in Finland. Sorry to hear about Matthew...hope he will cry less and less often at school.